Do you have dogs, cats, rabbits, or any other pets in your house? If yes, then you should protect your pets from baleful fleas. Generally, fleas are blood-sucking parasites which get stuck on the surface of the skin or hair of your pet, causing a great deal of irritation. As fleas are always in search of blood, they make target to your pets. Especially in warmer weather, you will get to see a huge increase in the population of fleas. The malicious pests are potent to cause irritation and swelling on the skin. Upon biting on the skin, the victim can succumb to serious disease. Call up the pro pest professionals of the recognized pest control company to get your surrounding zones inspected properly. The skilled pest guys will ensure to use highly effective flea control services on the carpets, floor surfaces, under the furniture objects and sofas, so that the harmful fleas do not attack you or your pets. A wide variety of flea solutions is used in order to keep flea breeding away from your residential zone. The pest professionals will ensure to apply high-powered treatment on fleas inside and outside your abode. The flea treatment Perth will help minimize the infestation of fleas instantly. 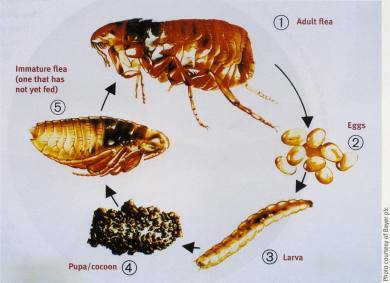 Also, with the application of flea treatments provided by the trusted pest control agency, you will be able to shoo away the nasty creatures successfully. The eco-friendly flea solution and treatment used by the pest control agency will sure to give you a positive outcome. Count upon the reliable flea services of the recommended pest control agency to have a flea-free zone.